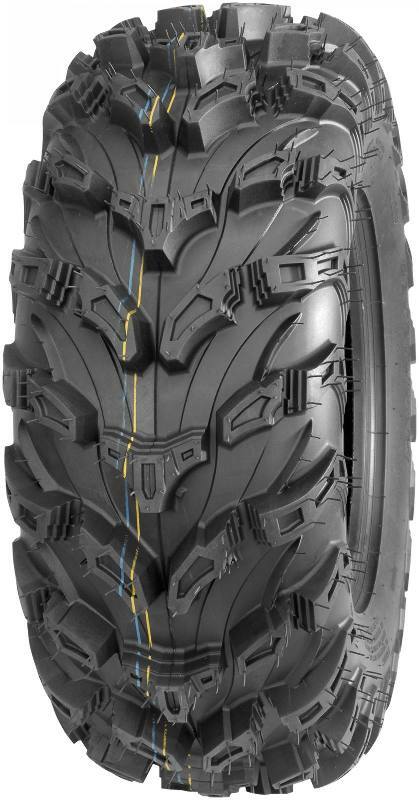 1-1/4" mud lugs for aggressive bite in muddy and soft conditions. Built-in rim guard protects wheels from trail damage. Long life radial structure lasts 2-3 tiimes longer than bias tires. Directional tread design developed to tackle the most challenging terrain. ©2012 MotorcycleParts2U. All rights reserved.